The Variable Inclination Position Microscope (VIP) features an extended magnification range and ergonomically-designed eyepiece adjustment to reduce neck and muscle fatigue. Variable inclination allows for individualized adjustability so each technician can maintain a comfortable and correct posture during use – neck straight, eyes forward. 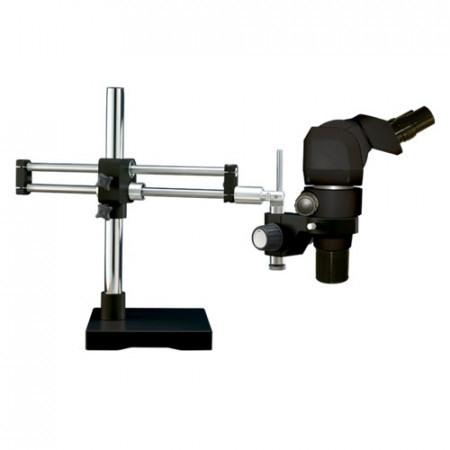 The magnification range and variable inclination eyepieces are coupled with a dual boom ball-bearing stand making the VIP microscopes ideal for a diverse range of inspection applications. The result is a microscope that adjusts for each individual user.